Lydia Ramsour is a 13 year old homeschooled 8th grader, who has been on stage since preschool. She enjoys dancing with En Croix Ballet and has been part of Fire & Light Productions for the past five years. Some of her favorite roles have been a bird in The Jungle Book, Maddie Martin in 100 Dresses, and Young Jane in All For One’s Jane Eyre. When not on stage, Lydia enjoys serving the homeless of Fort Wayne, every Sunday evening and any other chance she gets! Taryn is thrilled to make her F&L debut in this amazing role alongside such a talented cast and crew. 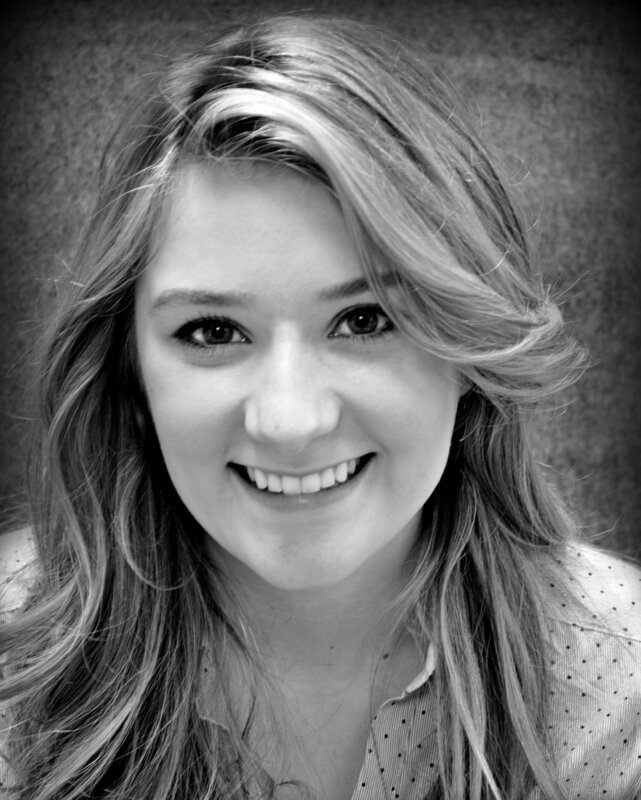 Taryn is a California native who earned her BA in Theater from Taylor University in 2013. She moved to Indiana shortly after to marry her college sweetheart. Her notable work includes Romeo & Juliet(Juliet), Noises Off (Belinda), The Merchant of Venice (Portia), and The Children’s Hour (Karen). Taryn is also proud to be represented by the Helen Wells Agency in Indianapolis. When not on stage, she loves traveling with her husband and playing with their French Bulldog. To keep up with Taryn, visit tarynwieland.com. Mary Beth Frank has been on stage since sixth grade, performing in professional and community shows in the Indianapolis Area. Her favorite role was Laura in The Glass Menagerie at Purdue University, where she received her Bachelor degree in Communications and a Theater minor. She is a director with the Fire and Light Academy and just recently directed, Beauty and the Beast Jr this past summer. She is currently directing Pride and Prejudice, which will perform in January. She would like to thank the Lord for opening the door back to theater, after a long break. She would also like to thank her husband, Jeff, boys, Marshall and Scotty, and her mother, Lynne for being supportive and understanding while she uses her talents to honor the Lord. Larry Bower is a familiar face on area stages, including Fire and Light, All for One, First Presbyterian, Arena Dinner Theater, Pulse Opera House, and the Fort Wayne Civic Theater, where he won an Anthony Award. He has appeared in several movies produced by Blended Planet Pictures. Larry is News Director at 90.3 WBCL, and is President of Bower North Productions, a regional entertainment company presenting audience-participation mysteries and Vaudeville comedy. Among his favorite roles: Harold Hill in The Music Man, John Proctor in The Crucible, Al in The Sunshine Boys, and Sigmund Freud in Freud’s Last Session. He thanks God for the opportunity to be part of this talented cast, and thanks Teresa and Andrew for their loving support. Zach is the second of four kids in his family. He has always loved sports, specifically basketball. This year he will be coming back to coach the junior high team for the Fort Wayne GUARD, after playing with them for six years. Zach joined Fire & Light his sophomore year. He's enjoyed playing a variety of roles, including a sheriff's deputy in Robin Hood, Treville in The Three Musketeers, and, most recently, Toby Crackit in Oliver Twist. He enjoyed learning different aspects of drama, and building meaningful friendships. This year, he is attending Indiana Tech and plans to pursue a psychology major. His favorite verse is Isaiah 40:8; "The grass withereth, the flower fadeth: but the word of our God shall stand for ever." With us for the first time, Dotty Miller (Aunt Ev) recently portrayed Amelia Tilford in First Presbyterian Theater’s production of “The Children’s Hour” and Witness #1 in Fort Wayne Youtheatre’s “Remembering Anne”. 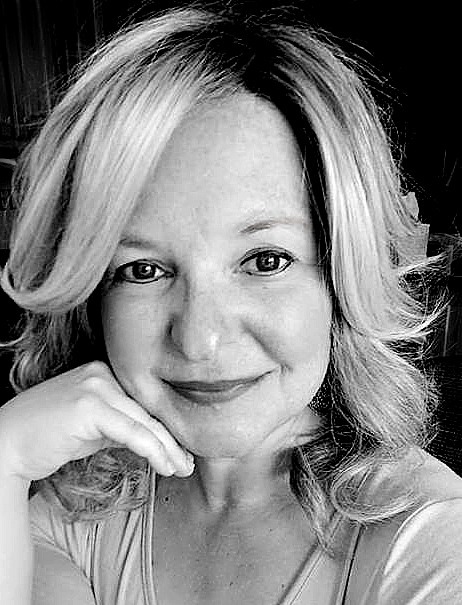 She is a fixture in the local theatre scene on-stage and behind the scenes for most of the Fort Wayne theater organizations in addition to singing in various churches. She is also a volunteer with the Miss America Organization and judges scholarship pageants. Dotty’s full time job as Director of Human Resources for DeKalb County Government sometimes requires her to be an actress as well. Many thanks to her family and friends who support her acting ‘habit’. Michelle is an active member in her church as an Elder, participating onPraise and Worship teams , doing various seasonal drama productions, working as a leader in the Youth and overseeing the drama team leaders for middle school and high school aged kids. She has had the privilege of being cast in Romeo and Juliet with AFO and also in a couple of small parts in independent films, as well as working behind the scenes with the cast and crew. Michelle and her husband, Bryan, have ten children and one granddaughter. They love living on a small farm outside Fort Wayne and enjoy tending to a variety of animals and hosting various groups for times of fellowship and fun. Michigan native David Matthew Weese has lived in Fort Wayne since 1991. While "The Miracle Worker" is his first foray into stage acting, he has produced (and acted in) several feature films since 2007. Currently he is completing the musical score and post production for a sequel to his most well known film, "Healed By Grace", which has been enjoyed by millions worldwide. Following in his siblings’ footsteps, by age eight Elias Kroeker has performed four shows with Fire and Light, three shows with Kinetic Revelation, and recently played Charles Wallace in All for One’s A Wrinkle in Time. Last fall, he was Wally in Fire and Light’s Our Town. Elias, a fourth grade homeschooler, studies violin and orchestra with Kroeker Homeschool Academy’s strings program. Elias also enjoys piano, reading, basketball, bicycling, rollerblading, and playing with his siblings. Amya (11) has loved to dance and worship since she can first remember. She started ballet when she was 3 and at age 7 discovered a new love in acting. When she isn’t performing on stage, you can find Amya learning alongside her family, babysitting her 3 little sisters, enjoying the outdoors- swinging and riding her bike- or reading a book. Amya is excited to play the part of Martha in the Miracle Worker. Ben is an 8th grader who has been involved in theater for several years, primarily through Fire and Light Academy. He has played Charlie in Charlie and the Chocolate Factory and Tabaqui in The Jungle Book. Ben has also been involved in the All for One productions of A Laura Ingalls Wilder Christmas and The Wind in the Willows. In addition to acting, Ben loves anything related to sports, especially tennis and Detroit Tigers baseball. Emalyn Kroeker enjoys anything in the arts! Emalyn is a sixth grade homeschooler. She dances ballet, modern, and hip hop with En Croix and acts with Fire and Light, recently playing Suzie in The Hundred Dresses. She has performed four shows with Kinetic Revelation. She greatly enjoys art, especially painting, drawing, crocheting, and sewing. Emalyn also studies violin, guitar and piano with KHA Strings, and Latin and English with Kroeker Homeschool Academy. Jillian loves all things music, theater, and being around people! She started acting about two years ago. Miracle Worker will be her ninth show, six with Fire and Light Productions and two church musicals. She loved working with Mrs. Munsie and the cast of Our Town last fall, and is looking forward to being a part of this year's community production of Miracle Worker! Evan is 10 years old and is in his third year of drama with Fire and Light Academy. His favorite roles have been as an Oompa-Loompa in Charlie and the Chocolate Factory and as Grey the wolf in The Jungle Book. When he is not on stage, Evan loves reading books, collecting almost anything, and creating videos for his Youtube channel. David Schultz is new to the Fire and Light Family. He has been involved in several area theater productions including Wells Community Theater’s “White Christmas,” “Hello, Dolly,” and “Kiss Me Kate” and is president of WCT’s board. He is the editor of the Bluffton News-Banner; father of three children, Linda Kay Impola, Tim, and Bobby; grandfather of two, Titus (8) and Amy (7); and married for 43 years to Susan Schultz, costume director for Fire and Light. Jessica Munsie is returning to the stage after playing Wendy in Peter Pan last fall and Belle in Beauty and the Beast last summer with Fire and Light Academy. She loves comedy and appeared as Grandmother Fa in Mulan, and currently she is in rehearsal for a comedic cameo role in Pride and Prejudice. She is an artist who loves animals, music, cooking, hiking, singing, playing piano by ear, laughing with friends and family, and furthering her relationship with God. She has enjoyed helping with her Mom’s production of The Miracle Worker, and this show marks her debut with Fire and Light Community. Bear Ramsour is a mature chocolate lab who is making her stage debut! She loves to take walks and get belly rubs. Her family adopted her from a shelter and are so glad they did. This is Suzy Drinks and Wets’ theatrical debut! She is happy to be basking in the warm spot light after spending many lonely years in a dark damp basement, buried face down at the bottom of a moldy Christmas tree box.